The Conservative government has shut down Parliament for two months, until after the Vancouver Winter Olympics. 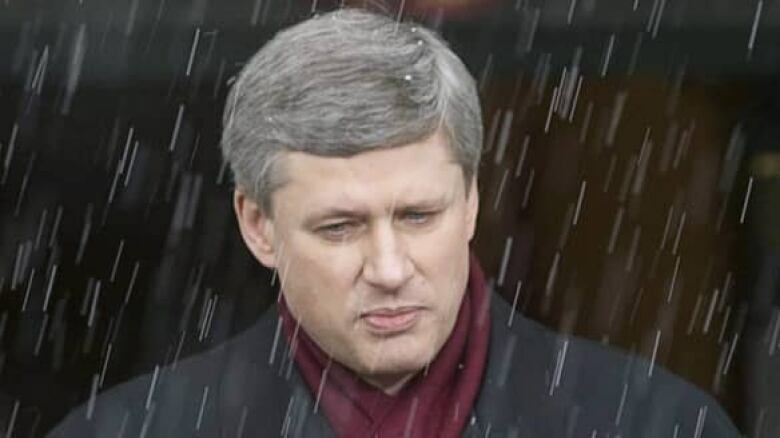 Prime Minister Stephen Harper is shown outside Ottawa's Rideau Hall on Dec. 4, 2008, after Gov. Gen Michaëlle Jean approved his recommendation to prorogue Parliament. ((Tom Hanson/Canadian Press))The Conservative government has shut down Parliament for two months, until after the Vancouver Winter Olympics. Prime Minister Stephen Harper telephoned Gov. Gen. Michaëlle Jean on Wednesday to ask her permission to end the parliamentary session. Jean signed the proclamation later that day, granting his request. The move triggered immediate condemnation from opposition MPs who labelled the Conservative government's move an "almost despotic" attempt to muzzle parliamentarians amid controversy over the Afghan detainees affair. 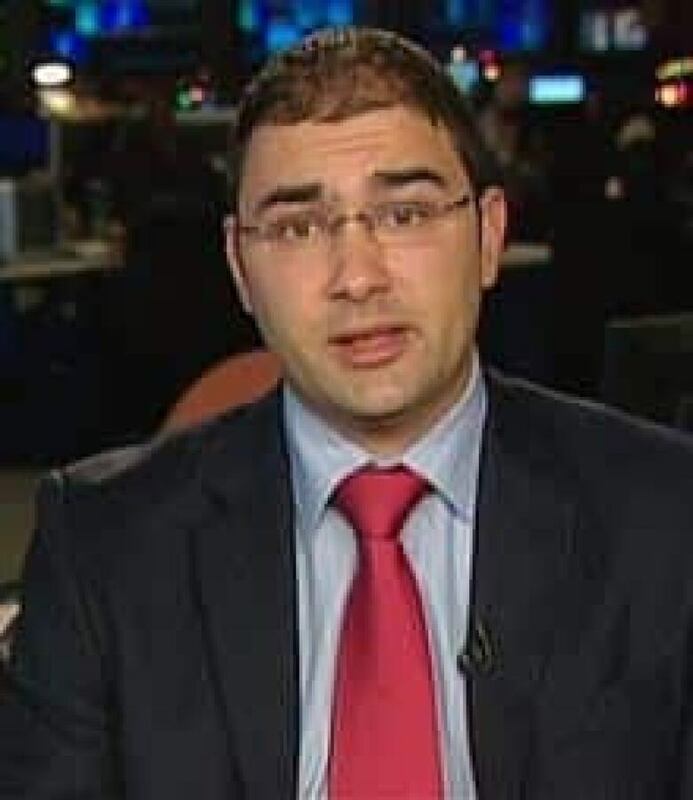 Harper's spokesman, Dimitri Soudas, said the government sought the suspension to consult with Canadians, stakeholders and businesses as it moves into the "next phase" of its economic action plan amid signs of economic recovery. "This is quite routine but it is also important to give Canadians an overview of where we will be taking the country over the next little while," Soudas told CBC News from Ottawa. P.O.V. : Is proroguing Parliament a necessary move or undemocratic? He said a speech from the throne will be delivered March 3, followed by presentation of the budget the next day. The session had been scheduled to resume Jan. 25 after the holiday break. PMO spokesman Dimitri Soudas gives an interview with CBC News in Ottawa on Wednesday. ((CBC))Opposition parties have already warned that prorogation would disrupt the inquiry of a parliamentary committee looking into accusations that the government ignored warnings about the torture of Afghan detainees. Strategically, prorogation also prevents question period criticisms from the opposition parties during the Olympics. Liberal House Leader Ralph Goodale called the government's move "beyond arrogant" and its justifications for it "a joke." "It's almost despotic," Goodale told CBC News in an interview from Phoenix, Ariz.
"Three times in three years and twice within one year, the prime minister takes this extraordinary step to muzzle Parliament. This time it’s a coverup of what the Conservatives knew, and when they knew it, about torture in Afghanistan. So their solution is not to answer the questions but, rather, to padlock Parliament and shut down democracy." NDP House Leader Libby Davies said she was "appalled" by Harper's decision and accused the prime minister of "running from" opposition demands for a public inquiry into what and when the government knew about allegations of torture of detainees transferred into Afghan custody by Canadian soldiers in 2006. "By proroguing Parliament, he is unilaterally making a decision to stop any kind of disclosure from happening," Davies told CBC News from Vancouver. On his Twitter account, Bloc Québécois Leader Gilles Duceppe wrote that prorogation has become "a tradition for Harper." "Instead of facing the music, he prorogues," Duceppe wrote. Before Wednesday's announcement, NDP House leader Libby Davies said there's no legitimate reason to prorogue Parliament and to do so would be a "political scam." Soudas hit back at Goodale's accusations, saying the opposition parties have been "unable to prove any wrongdoing on the part of our military, on the part of our diplomats, on the part of the Canadian Forces." "If the opposition wants to spend 2010 talking about Taliban terrorists, we'll let them do that. We're going to be focusing on the economy." By the time Parliament resumes, Harper would have had time to ask Jean to name five new senators, which would give the Conservatives a majority on the newly formed Senate committees and greater control for passing their own legislation. Soudas confirmed the prime minister will seek to fill the Senate vacancies between now and March, while the Tories will also push forward on Senate reform, including ending the appointment process in favour of elected senators. Prorogation also effectively scuttles all bills before the current Parliament, including the government's vaunted anti-crime legislation, which the Conservatives had accused opposition parties of trying to stall. But private member's bills, such as Manitoba Tory backbencher Candice Hoeppner's bill to scrap the decade-old federal long-gun registry, would not be affected. Shortly after Soudas' announcement, the government sent out an email saying it would reintroduce, in original form, the consumer safety bill and the anti-drug-crime law that the Tories claimed the Liberals "gutted" in the Senate. Harper successfully appealed to Jean to prorogue Parliament last December, thwarting all three opposition parties in their attempt to defeat his government in a no-confidence vote and replace it with a proposed coalition between then Liberal Leader Stéphane Dion's party and the NDP, with support from the Bloc Québécois. After Jean granted Harper's request, the proposed coalition collapsed and Dion was replaced by current Liberal Leader Michael Ignatieff, who gave his party's conditional support to the Conservatives' budget last January. P.O.V. : Parliament prorogued: Necessary move or an insult to democracy?